Huge range of betting markets. Best Odds for Horse Racing. Ladbrokes is a world leading company in the sports betting industry. The company owns more than 2,700 betting outlets in the United Kingdom, Ireland, Belgium, and Spain. Currently, ladbrokes.com is providing its services to thousands of active online customers. The brand is also employing more than 16,000 people in total, making sure that the customers have a fun experience. The company was founded over 100 years ago and started out initially as a bookmaking service for horse races. 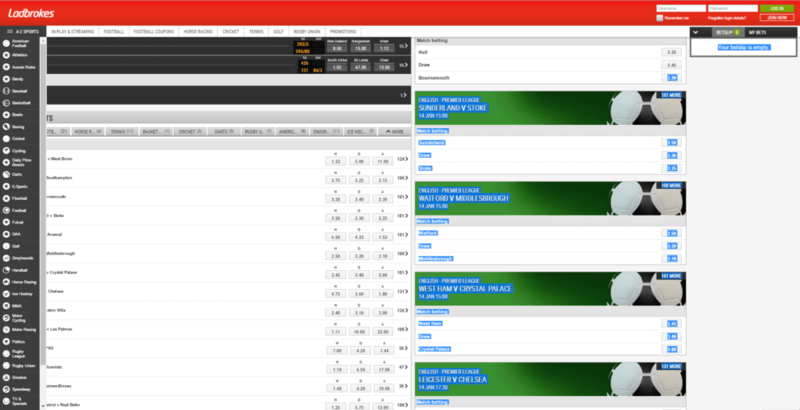 Nowadays, people who sign up with Ladbrokes.com can choose between a wide variety of different products. There are plenty of games including a Sportsbook, the Exchange Market, Poker, Casino, and many other exciting services. Our detailed Ladbrokes Review will give you key information to start your betting experience with one of the biggest sportsbook operators on the market. In order to qualify for this offer, you will have to deposit at least £5 into your account. The free bet will be granted after you have placed a minimum bet of £5 on any sport. While creating a account, you need to use the promo code 20FREE for this offer. The minimum odds for this Free Bet promotion are 1.50 or greater and right after placing your first bet, you will receive your free bet. Certain deposit methods excluded. Min £/€5 on win or each-way bet excluding Tote or pools = match £/€20 free bet. Min odds 1/2 (1.5). Bet must be made within 14 days. Free bet valid for 4 days. Free bet stake not returned. Single bets only. Free bet cannot be used on certain markets. T&Cs apply. The following step-by-step guide will show you how to easily set up your account within a few minutes and benefit from our fantastic £20 Free Bet Offer. Please make sure to use our Ladbrokes Sports sign-up link to start the free registration process. 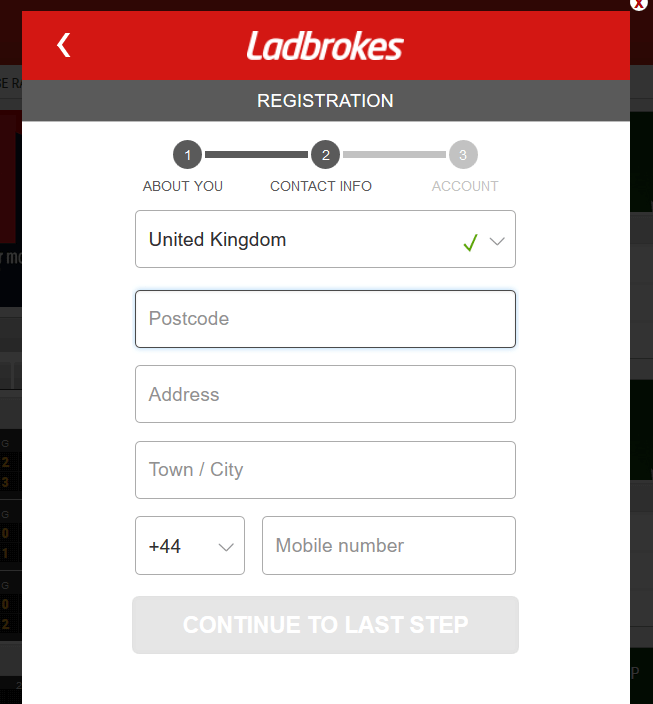 You will be redirected to the Ladbrokes homepage, where you just need to click the ‘JOIN NOW’ button in the top right corner. On the following screen you need to add your personal details like your country of residence, address, phone number, currency, etc. 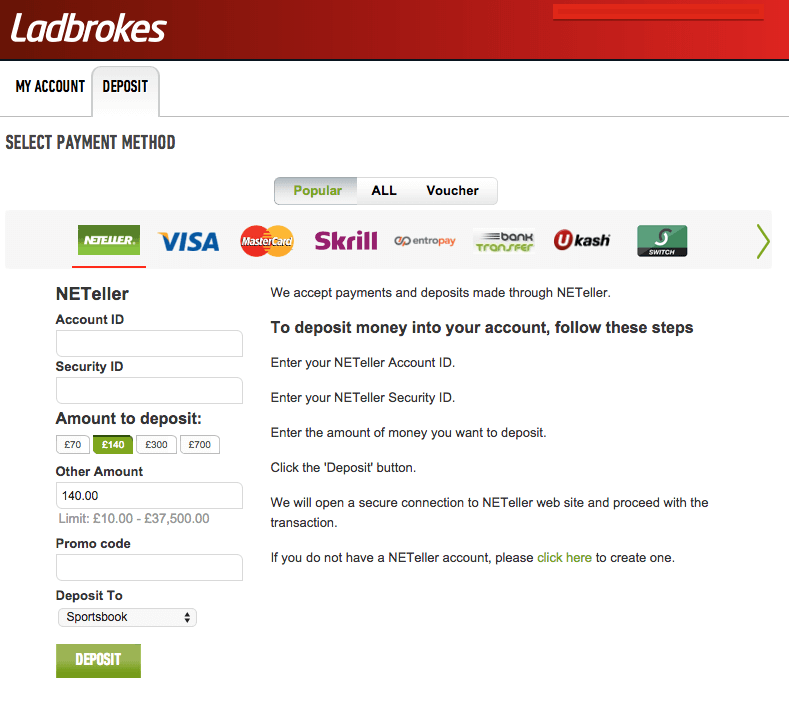 Once your new Ladbrokes account is created you can start to deposit money. Simply choose your preferred payment method, your currency, and follow the instructions on the screen to finish the deposit process. Please don’t forget to use the code 20FREE in this step to become eligible for our £20 Free Bet Offer and all other benefits. At Ladbrokes you will find almost all available sports markets. 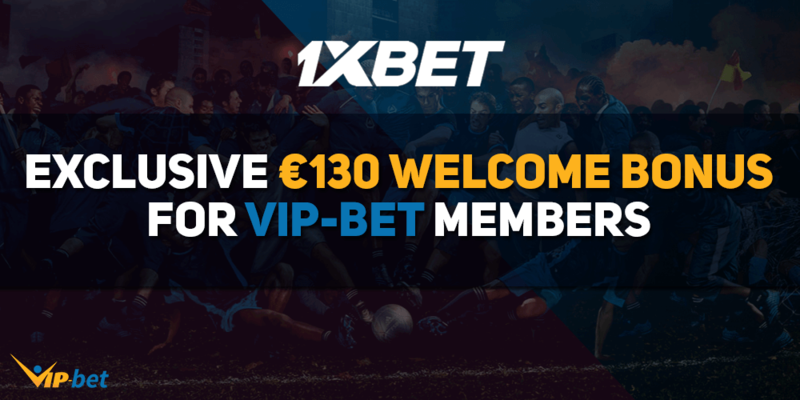 Enjoy betting on football, tennis, horse racing, greyhounds, eSports, and much more. You will also find some more exotic options like television or political specials. ESports fans especially should also check out our eSports Sportsbook Review, where we have focused a bit more on the benefits for eSports betters. Checking for the best odds is one of the most important aspects for any sports better. 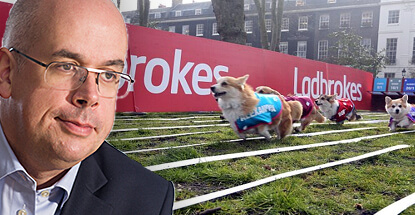 Ladbrokes has fantastic odds on some markets like Greyhounds and Horse Racing. 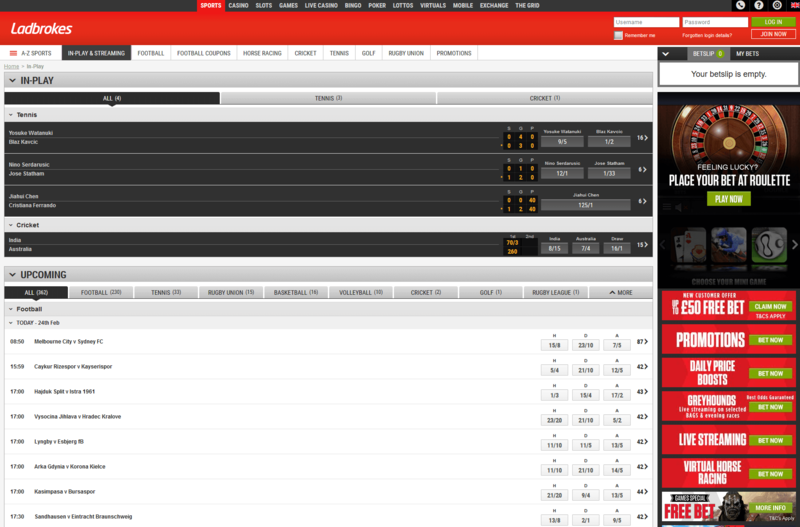 It is safe to say there are not many sportsbooks who can compete with Ladbrokes here. However, on some other markets the odds are more on the average site. For these areas, we recommend to check our Odds Comparison Page, where we provide an overview of the best odds for different events through different sportsbooks. You just need to check for your preferred sports event and we show you which sportsbooks currently offer the best odds. 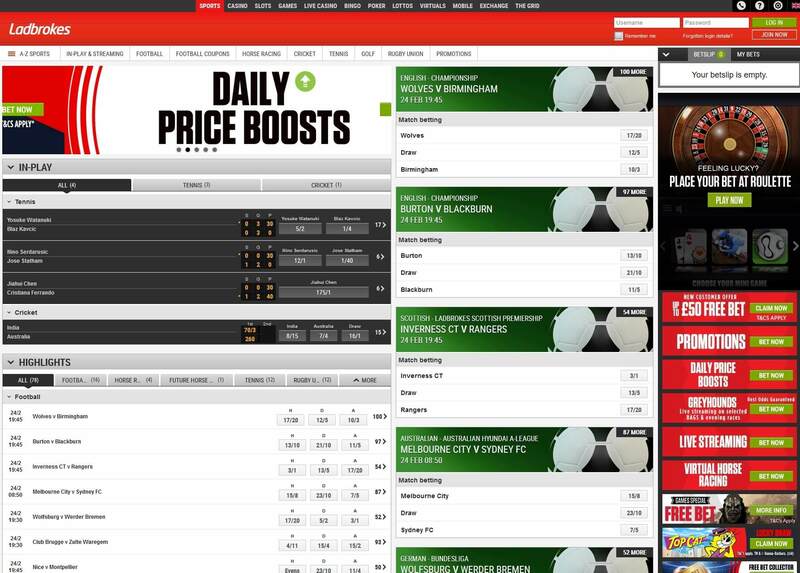 Ladbrokes has great coverage through many markets and live betting is one of them. 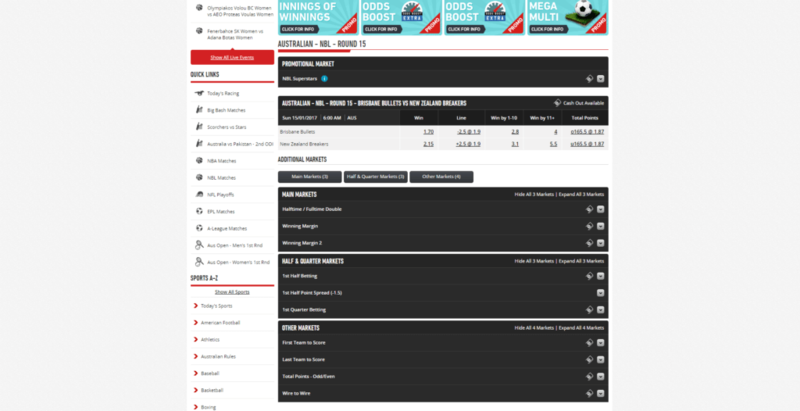 Find a great range of betting markets and enjoy the full experience of in-game betting. Although Ladbrokes covers a lot of markets, soccer is a market where you will find the most events for live betting. Ladbrokes also offers live streaming, which will bring your live betting experience to a whole new level. Enjoy your preferred teams live on the screen and wait to place some profitable live bets. If you are interested in live betting, check our sports live betting page for more information and the top sportsbooks for live betting. Ladbrokes offers a great live streaming service to their customers. Using the mobile app you can enjoy their live streaming offer from any place around the world by just using your phone or tablet. Live streaming brings the betting experience to a whole new level, especially when coupled with the thrill of placing bets live. Check our live streaming overview for more details. Unlike many of their competitors, Ladbrokes offers a huge range of different payment options. The following table shows the most important options, including their fees and limits for deposits and withdrawals. You can find a full overview for all our partners on our Payment Methods Overview page. Promotions are an important part for any sports better. 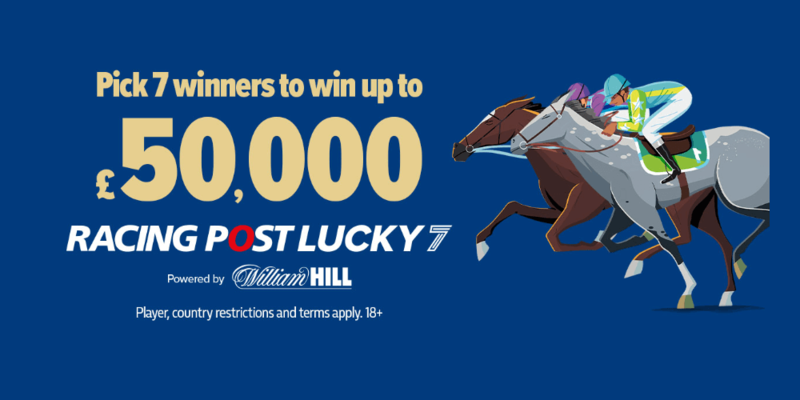 Offers like deposit bonuses, free bets, or enhanced odds will help you to maximize your winnings. 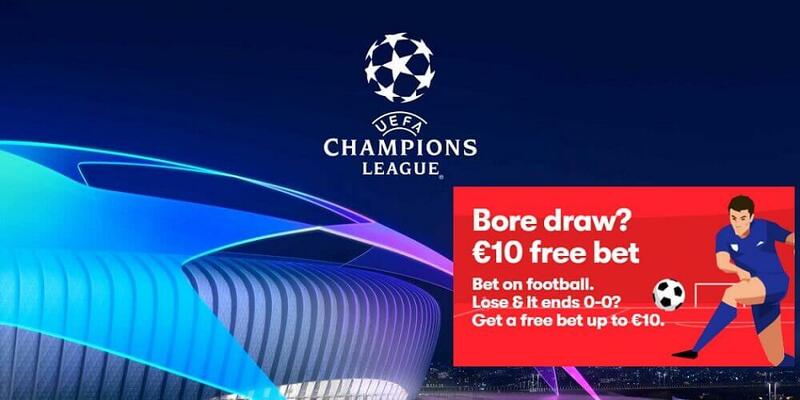 A lot of great promotions are running every month on Ladbrokes. Check our review regularly to not miss any additional value. Daily Price Boosts – Receive increased odds on various racing events, run daily. 5 Team Acca Insurance – Place a 5+ teams Match Betting Acca on selected games and receive your money back if one team lets you down. Edit My Acca – This promotion allows you to remove multiple selections from your active football accumulator bet. Horse Racing – Best Odds – Profit from the best odds guaranteed on all UK and Irish horse races. Best Odds Guaranteed Plus – The best odds are guaranteed on all UK and Irish greyhound races. Cash Out – This options allows you to take a return on your bet before the match finishes. Available on several sports including football, cricket, and snooker. Greyhounds – Best Odds Guaranteed – Take the price and if the SP returns greater, Ladbrokes will pay you at the bigger price. The founders of Ladbrokes started as commission agents for horses trained at Ladbroke Hall in Worcestershire. Currently, the company is based in Rayners Lane in Harrow, London. It is listed on the London Stock Exchange and is a member of the FTSE 250 Index. Back in the day, betting was pretty much about transactions between individuals and horseracing was basically a rich man’s sports. The company’s founders felt the people needed a reliable and trustworthy sportsbook. In 1902 Arthur Bendir joined the partnership and changed the emphasis from backing horses to betting against them, becoming both a punter and a bookmaker. Ladbrokes plc was initiated by Mr. Schwind and Pennington in 1886. It was effectively founded in 1902 and its name was inspired by a signpost to Ladbroke Hall. Since the start it was a success story, but the company lost some of its momentum after the Second World War. In 1956 Cyril Stein and his uncle, Max Parker, acquired the company. Stein was an innovative entrepreneur and had great ideas to make the organization bigger and become more profitable. He started advertising for new customers by introducing “no limit” and “ante post” betting and they also began to sponsor a horse race at Newmarket. After the legalization of betting shops in 1961, they purchased their first shop in 1962 and Stein kept establishing new shops all over the United Kingdom in order to create a retail empire. In 1972 they acquired the London & Leeds Development Corporation and by doing so, began an entry into international property development with office projects in Amsterdam, Brussels, Paris, and the United States. After Three Dragonara hotels were constructed in the United Kingdom, the company quickly became one of the world’s top hotel operators . In 1986, UK restrictions on retail betting were relaxed and betting shops were allowed to display live TV coverage, serve light refreshments, and improve comforts in an attempt to encourage customers to stay in the retails. During the 80’s, diversification was quickly progressing. The company acquired the Texas Homecare DIY chain and in 1987, Hilton International was purchased for £645 million. 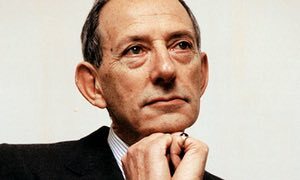 Ladbrokes plc kept growing and in 1997 the company acquired Coral, the UK’s third largest bookmaker, but the deal was ruled anti-competitive by the Monopolies and Mergers Commission and therefore they had to divest the majority of Coral’s assets. A new era began in the year 2000 when they launched ladbrokes.com. By setting focus on remote gaming, the company decided to sell most of its casino interests to Gala. In opposition to the casino branch, the hotel base expansion kept going when the Hilton Group completed the £620 million acquisition of Scandic Hotels AB. In 2005 the Hilton Group’s management announced that an agreement had been reached to sell the Hilton International Hotel Division to the Hilton Hotel Corporation. The shareholders were given a huge £4 billion special payout and the company’s name was changed back to Ladbrokes plc. The company began opening several betting opportunities all over the world, including offers in China, Italy and Spain. Following the Gambling Act of 2005, which allowed betting shops to extend their opening hours and also removed the restrictions on radio and TV advertising, they initiated a huge £5 million national advertising campaign. It was the first of its kind for the company and in bookmaking history as well. 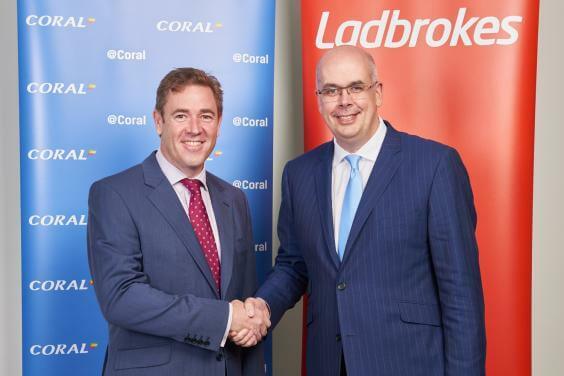 In the beginning of 2016, Ladbrokes plc agreed to merge with certain businesses of the Gala Coral Group Limited. The company is currently the second biggest bookmaker in the United Kingdom by number of shops. Coral is not far behind, being the third biggest bookmaker in that regard. With an expected 4,000 betting shops, Ladbrokes Gala Coral will become bigger than William Hill in the regards of being a high street betting agent with net revenues adding up to £2.1 billion. Head Office: Rayners Lane in Harrow, London. Ladbrokes is offering a really great and easy to handle mobile app. The app is available for Android, iPhone, and Windows devices. You can use almost any mobile device to access their services everywhere. You can use the mobile app for all your Android and iOS devices. The iOS app can be downloaded from the Apple Play Store. However, it is a bit more complicated with the Android app. The reason for that is Google’s strict policy against gambling and therefore they removed the apps from their store. However, most bigger sites are fully aware of this problem and provide a link to download the app on their sites and so does Ladbrokes Sports. Downloading and install the iOS app to your mobile devices is easy. Just click one of the following logos and download the Ladbrokes app to your mobile device. To download the Android app just click the following button and follow the instructions on the Ladbrokes Mobile website. Please note, you will also find several other sources where you can download the android app, but we would highly recommend to not use apps from an unknown source and only use the original app from the Ladbrokes homepage. Odds Format: EU, UK, US odds. Live Streaming: Available for various events. Sports & Leagues: 31 various types of sports. Including unique markets such as Poker, eSports, TV& Specials and Politics. Ladbrokes is not available worldwide and offers their services only to a few regulated markets. Check the following overview to see all regions where you are allowed (blue) to open a Ladbrokes account and where it is not (orange).